If you want to gain access to all IQSA session in Boston as well as our exclusive member benefits please RENEW your 2018 IQSA MEMBERSHIP immediately here (http://members.iqsaweb.org/Sys/Login). It is not too late! The FRIDAY sessions are FREE and OPEN to the PUBLIC. There is no keynote address this year. Please RSVP to join our GENERAL RECEPTION with food and refreshments, Friday Nov 16, 6:30PM. See program for details. On Sunday Nov 18, I call upon all IQSA members to fulfill their duty by attending our Business Meeting at 11:30am-12:30pm. See program for details. In advance of the 2017 Annual Meeting in Boston one month from today (November 17, 2017), certain dual US citizens and non-US citizens should note the urgent advice below. If you have not already you need to apply for a visa to enter the United States through the new Electronic System for Travel Authorization (ESTA) system. According to current US Government advice, dual nationals of Iran, Iraq, Sudan, Syria, Libya, Somalia, and Yemen are not anymore considered eligible to take part in the Visa Waiver Program even if they hold a first or second passport by a country that is part of the Visa Waiver Program. Furthermore, and this may be much less well known, anyone who has merely travelled to one of the above-mentioned countries after 1 March 2011 is also considered ineligible to take part in the Visa Waiver Program even if he/she does not hold dual nationality. An ESTA application submitted is likely to be declined. Thus, any speaker to whom (1) or (2) applies will need to submit a full visa application in order to travel to the Annual Meeting. This is a complex, costly, and time-consuming process that ought to be commenced immediately in order to ensure that travel to the US will be possible in November. Finally, it is advised that those already granted permission before the new ESTA regulations re-apply immediately. We apologize for any inconvenience this will cause you. IQSA is doing everything it can to help its members and ensure a safe and fruitful meeting in Boston. Should you have any further questions please write contact@iqsaweb.org. If you want to gain access to all IQSA session in San Antonio as well as our exclusive member benefits please RENEW your 2016 IQSA MEMBERSHIP immediately here (http://members.iqsaweb.org/Sys/Login). It is not too late! The FRIDAY sessions are FREE and OPEN to the PUBLIC. So do not forget to attend the AFTERNOON PANEL, KEYNOTE ADDRESS “‘These are my Daughters’: Lot and His Offer—A Lover/ Scholar Reflects on one of the Qurʾan’s More Awkward Moments”, RECEPTION & FILM SCREENING of “Jesus and Islam / Jésus et l’islam” all on Friday Nov 18. See program for details. On Sunday Nov 20 I call upon all IQSA members to fulfill their duty by attending our Business Meeting at 11:30am-12:15pm. See program for details. Finally, it will come as no surprise to any of us that the world’s political climate continues to change. Our work is now more important than ever. Please support IQSA and DONATE (http://members.iqsaweb.org/donate). Meanwhile do not forget to enjoy this VIDEO (https://www.youtube.com/watch?v=Tg-W3Asj3R8) and share accordingly — thank you. 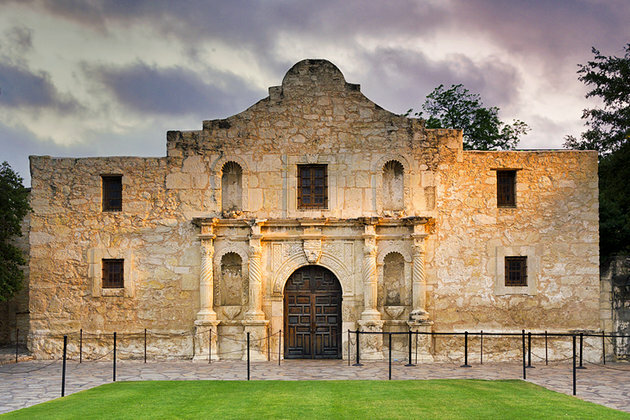 IQSA Annual Meeting in San Antonio: Full Schedule Available Now! IQSA has an exciting program line up for the Annual Meeting in San Antonio, Texas. The full schedule is now available! To view the schedule, please visit the Annual Meeting 2016 page HERE. The IQSA Annual Meeting in San Antonio is scheduled to take place 18-21 November 2016, in conjunction with the SBL/AAR Annual Meetings. Registration is open at the SBL page HERE. Save big on registration by joining IQSA or renewing 2016 membership and registering for the Annual Meetings as an Affiliate Member. If you are not yet an IQSA member we encourage you to please join us HERE. IQSA members will also enjoy the added benefit of the first issue of the Journal of the International Qur’anic Studies Association to be released soon. Support IQSA’s work and the Annual Meeting through a tax-deductible contribution. All contributors will be formally recognized in San Antonio at the IQSA Reception on November 18. We look forward to an exciting meeting of members and friends in San Antonio! The IQSA Annual Meeting held last week in Atlanta, Georgia, was a great success, thanks to cutting-edge research presentations and record-breaking attendance. Held in conjunction with the Annual Meetings of the American Academy of Religion (AAR) and the Society of Biblical Literature (SBL)—the largest gathering of religious studies scholars in the world, our meeting brought together an international community of scholars to exchange fresh ideas on the interdisciplinary study of the Qur’an and to forge collaborations for advancing Qur’anic studies in the years to come. The 2015 meeting showcased the diversity of scholarly interests and approaches to the Qur’an, featuring papers on a variety of issues including rhyme in the Qur’anic text, violence in the Qur’anic milieu, and reader interactions with Qur’an manuscripts. In addition to the excellent research presentations and lively discussion, we also featured a roundtable discussion on “The Current State of Qur’anic Studies and Its Future,” in which leading experts addressed a range of key questions in the field, from sources and methods in Qur’anic scholarship to diversity and inclusion in the scholarly community. With over one hundred people in attendance, this discussion session truly reflected the importance and vitality of Qur’anic studies today. IQSA is grateful to all the participants and attendees who contributed to the success of this year’s meeting. Please stay tuned for publication of the Presidential Address and Response papers, and keep an eye out for our Call for Papers for next year’s meeting in San Antonio! IQSA remains committed to providing resources and opportunities for continued collaboration among Qur’an scholars. To that end, we invite you to stay in touch with colleagues and friends by becoming a member of IQSA. Members enjoy a variety of benefits including access to the Review of Qur’anic Research, the Qur’an Seminar, and our member directory. Please do not forget our first Panel, Presidential/Keynote Address and General Reception all taking place on Friday, Nov 20 (one day before the official start of AAR or SBL). Our Presidential/Keynote Address is on “Qurʾan and the Problematic of Prophecy,” and will be delivered by IQSA president prof. Reuven Firestone, with a Response by IQSA council member prof. Ebrahim Moosa at 4:00-5:15 pm in Marriott – M104 (Marquis Level). All Friday events are FREE & OPEN TO THE PUBLIC. Furthermore, I invite all IQSA members to fulfill their duty as members by attending our Business Meeting, Sunday, Nov 22 at 11:30 am in Marriott – M105 (Marquis Level). This will be immediately followed by the Graduate Student Reception at noon in L504-L505 (Lobby Level) – Marriott. If you have not already please visit IQSAWEB.ORG in order to become a Member, subscribe to our Blog and join the private IQSA Discussion Group. Finally don’t forget to enjoy our new an improved video with Arabic subtitles!